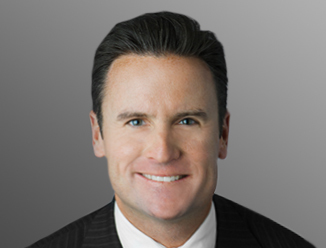 Chris Connelly leads CBRE’s Property Management and Investor Leasing global business lines. Mr. Connelly’s Property Management position oversees the management of more than 3 billion square feet of commercial property and his Investor Leasing responsibilities include directing CBRE’s leasing brokerage activities across all commercial real estate asset classes. Mr. Connelly also oversees the Property Management and Investor Leasing business lines in the Americas. Previously Mr. Connelly served as President of Mountain–Northwest Division, overseeing CBRE’s operations in the Bay Area, Sacramento/Reno, Seattle, Portland, Phoenix/Tucson, Denver, Salt Lake City, Las Vegas and Albuquerque. Prior to that role, he led the Midwest Division, comprised of 11 major cities across 10 states, as well as served as the Chicago market leader. With more than 20 years of commercial real estate experience, Mr. Connelly brings a broad range of experience to his management roles, including experience in investment and leasing in office, industrial and land properties. Mr. Connelly rejoined CBRE in 2004 as Managing Director of the Chicago Suburban Office Brokerage Group. He was promoted to Senior Managing Director in October 2008, where he led the downtown office. In 2011, Mr. Connelly took over responsibilities for the Greater Chicago Region as Executive Managing Director, overseeing the operation in its entirety, which encompassed more than 2,500 professionals throughout Chicago, greater Wisconsin and Minneapolis. He was promoted to Midwest President in October of 2015 and Mountain-Northwest President in January 2017. Mr. Connelly began his career at LaSalle Partners, specializing in industrial and land brokerage before migrating his practice to the office side of the business. He then had a successful stint as a Senior Vice President and Regional Leasing Director for Jones Lang LaSalle, where he was responsible for their Chicago suburban office business as well as the local market tenant representation business in the Midwest Division. His clients included BP, Morgan Stanley, Northwestern Mutual, Exelon, McShane Companies, OPUS North and Duke Realty, among others.